An educational tour of the Galapagos narrated by anthropologist Manuel Arboleda G.
A five-night / six-day cruise of the Galapagos Archipelago aboard the First Class yacht, the M/Y ODYSSEY plus two pre-cruise nights in Quito. Retrace the steps of Charles Darwin by visiting the Galapagos Archipelago located some 1,000 kilometers off the coast of Ecuador. The volcanic islands, renowned for their unique collection of reptiles, large quantities of birds and unique flora, served Darwin well. 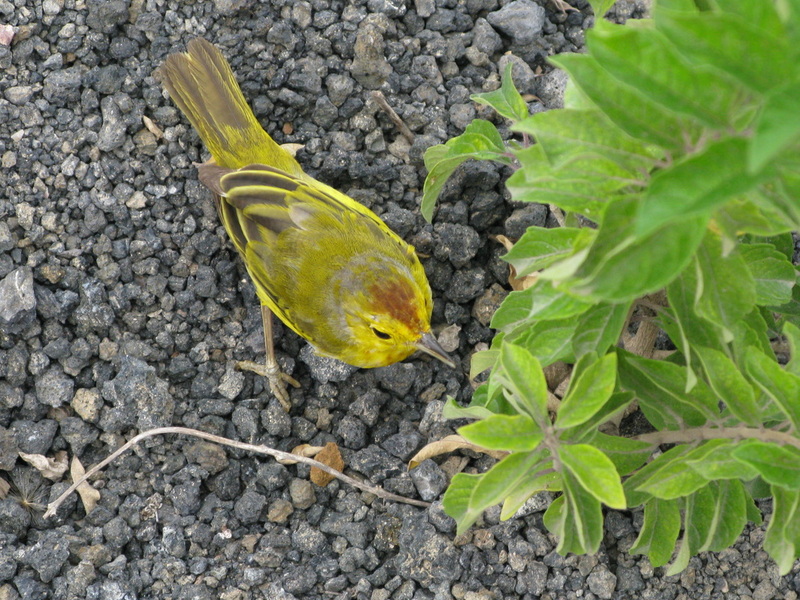 By studying the population of these “very curious” finches found in each of the islands. Darwin, with the help of naturalist John Gould, noticed that the shape of the finches’ beak were indeed different. He attributed these differences to, among other things, isolation and it enabled him to postulate the theory of evolution by natural selection. Come and enjoy Galapagos’ unique collection of animals; some of which are found nowhere else in the world! Indeed, these islands were totally devoid of life when they rose from the depth of the ocean some five million years ago (?). Then life, in the form of “pioneering” plants (some which drifted from the mainland), began to “sprout” making it possible for birds and larger animals to adapt to an otherwise barren landscape. Thanks in large part to the care and effort of the Galapagos National Park and the Charles Darwin Foundation, the Galapagos Islands have retained more than 85% of its original flora and fauna. Come and experience the descendants of these plants and animals in their natural habitat while enjoying the breath-taking views of the Galapagos Archipelago. Source: The video clip was filmed by Steve Winkworth. Welcome to Quito, a World Heritage site and capital of Ecuador. Our transfer person will be at the airport to greet you and take you to your centrally- located hotel. You have the balance of the evening at leisure. We start our walking tour in Plaza Independencia. Take a moment to glance at the handsome Presidential Palace, City Hall and the other monuments embellishing the square designed to commemorate Ecuador’s political independence from Spain (1822). 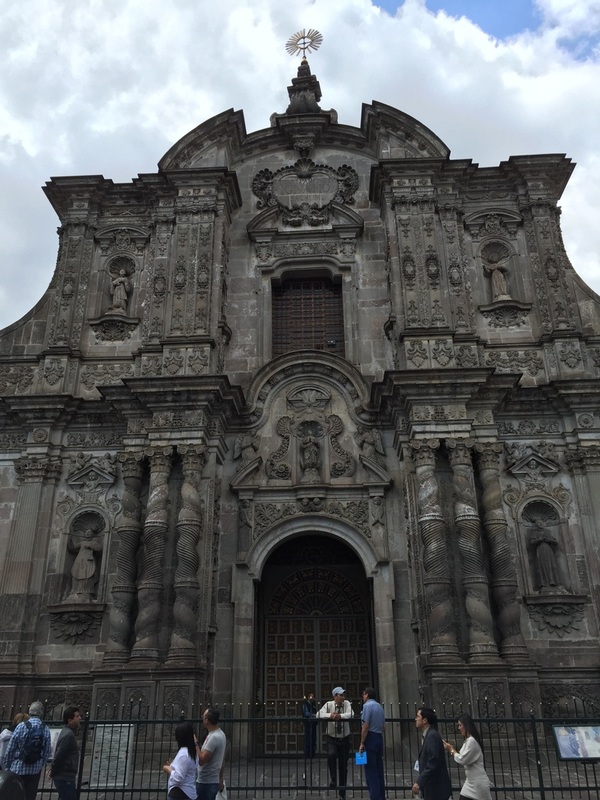 Then visit the renowned Jesuit church of La Compania. Built in 1605, the church’s lavish baroque belfries, gilded altars and religious paintings, makes it one of the most opulent churches ever built in Latin America. A short walk west will take us to Plaza de San Francisco located in a much poorer section of the city. The square, crowned by a large church of the same name, sits partly on the foundations of an Inka site! Then get ready to drive up to Panicillo Hill, one of the many volcanic hills dotting the city. From here, enjoy a panoramic view of the city and the nearby sculpture of the Virgin Mary, the patron saint of Quito. We terminate our tour with a welcome lunch followed by a visit to the Equatorial Monument designed to commemorate the French Geodesic Expedition of 1736. Their main objective was to calculate the size of the earth’s arc from Quito to Cuenca and thus provide an accurate reading of the equatorial line that formed the basis for the development the metric system. Flight Requested flight: (EQ) 193 Quito to Galapagos (Baltra Island) 09:00 - 1130 hrs. Get set to take a flight to Baltra Island, the gateway to the Galapagos Archipelago. The small island, located just a few kilometers south of Santa Cruz Island, is a good example of an uplifted “block” that was caused by tectonic movements and not necessarily by volcanic activity. It remained fairly isolated until WW II when the U.S built an airbase and, in doing so, disrupted the ecological balance of the island that nearly drove the land iguanas to extincition. When the war ended, the Ecuadorian Airforce took over the island. 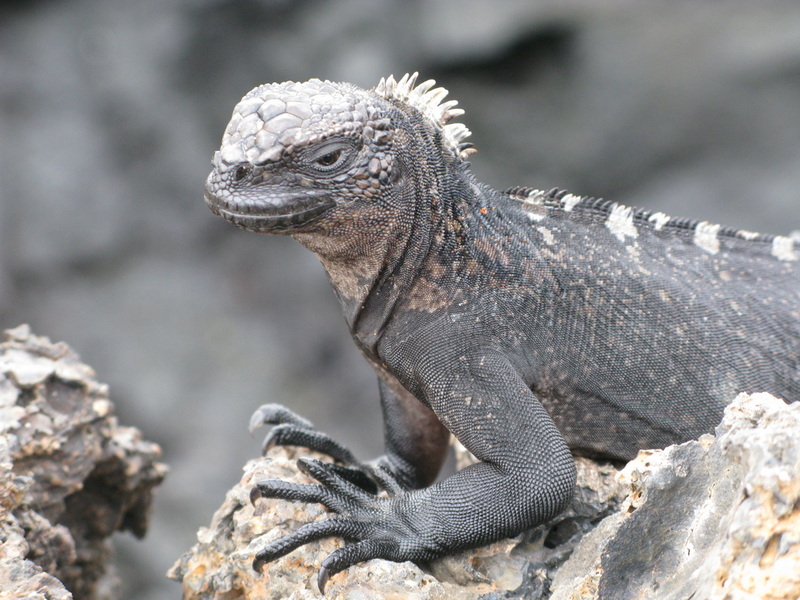 But it was not until 1991 that the renowned Charles Darwin Research Station (CDRS) together with the Galapagos National Park (GNP), succeeded in repatriating the iguanas back to Baltra. After clearing “customs,” you will be transferred to a bus that will take you to Puerto Ayora, where your comfortable yacht, the M.N Odyssey, is based. The island is also the headquarters of the renowned CDRS. Funded partly by the World Wildlife Fund (WWF), the station also serves as a research centre for international scientists to engage in programs that include repatriating the iguanas and giant tortoises, the Galapagos, back to islands they once inhabited. Enjoy! No less than five active volcanoes dot the barren landscape of Isabela Island, the archipelago’s largest island and home to its tallest volcano, Mt. Wolf (1,700 meters). This morning we will climb to the summit of one of them, the Sierra Negra Volcano (1,490) mt. ), one of the many “shield-volcanoes” that dot the archipelago. The area is teeming with lush vegetation and extensive lava flows and other geological features, some of which are covered with mollugo carpetweed, a “pioneering” plant, responsible for spawning other plants and making the area verdant. This is also a good time to dwell on the question of volcanic eruptions and their connection with the birth of the Galapagos Archipelago and its subsequent colonization by “pioneering” flora. Darwin too visited the area during his one-month stint in the archipelago and wrote extensively on the geology of the island’s active volcanoes. Here too he commented on the “ugly” marine iguanas (ambltrthynchus cristatus), a term used by Darwin to describe them (see below). Along the White Tip Shark Canal, you will also get an opportunity to snorkel and see, among other marine wonders, deep caves that serve as an excellent habitat for the white tip shark...oouch! At Punta Moreno, you will feast your eyes on storm petrels, opportunistic frigate birds and other marine birds. 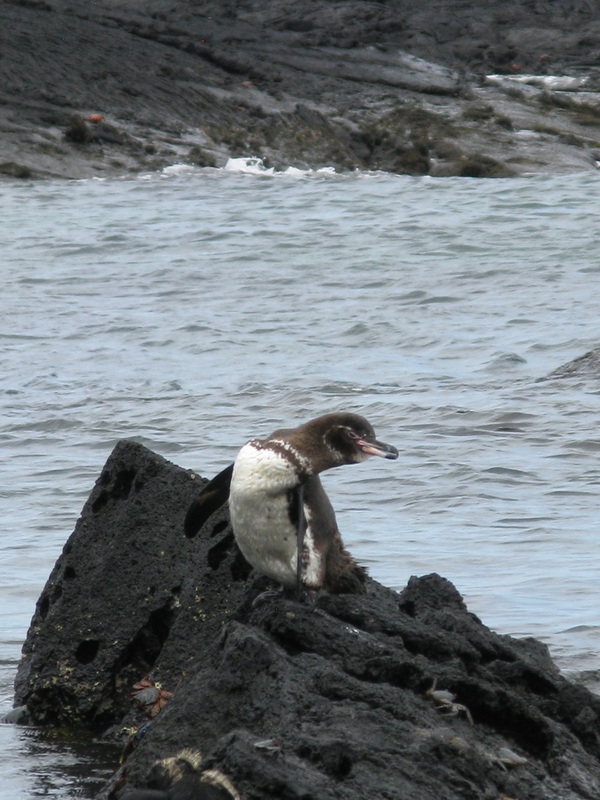 The area is also known for its large collection of Galapagos Penguins (cousins to the Humboldt Penguin). Their presence here (in the heart of the tropics) is partly due to the Humboldt Current and the sub-surface Cromwell Current. These nutrient-rich cold upwells ferry large quantities of floating plankton to the surface attracting a myriad of fishes and thereby triggering a maritime food chain that makes it possible for the great variety of sea birds to inhabit the archipelago. In the afternoon, we will sail for Elizabeth Bay to glance at the numerous naughty terns, the Galapagos hawk and lava herons. 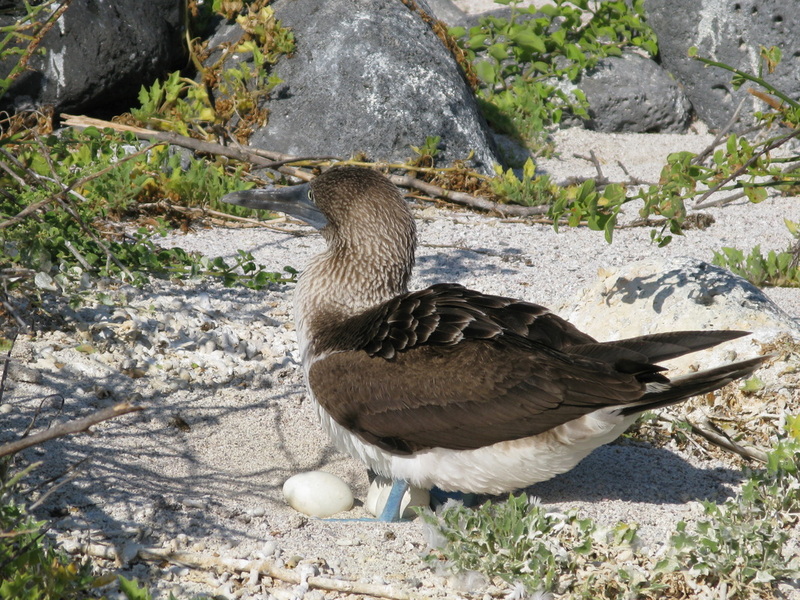 The latter two are endemic to the Galapagos Archipelago. With luck you will see lava herons at lunch munching on the colourful sally foot crab. Get set to navigate to Isabella’s Tagus Cove. Blessed by a protected harbour, the early whalers used the Cove as a base to prey on migratory whales. Their “signatures” still mar the rocky cliffs. From here we set sail to Fernandina Island, one of the most pristine island of the archipelago and one that has retained much of its original flora and fauna. The island itself is in the form of a volcano that soars some 1,494 meters above sea level. In fact, the active volcano has erupted so many times that it has blanketed most of the coastline with thick layers of basalt rock. Fortunately, Fernandina has not been flooded with invasive species that have caused so much ecological disruption in other islands. Then at Punta Espinosa beach, you will have another opportunity to snorkel with the marine iguanas (ambltrthynchus cristatus). In fact, there are so many of these “hideous-looking creatures” (another Darwin term) that they literally blot out the rocks beneath them! 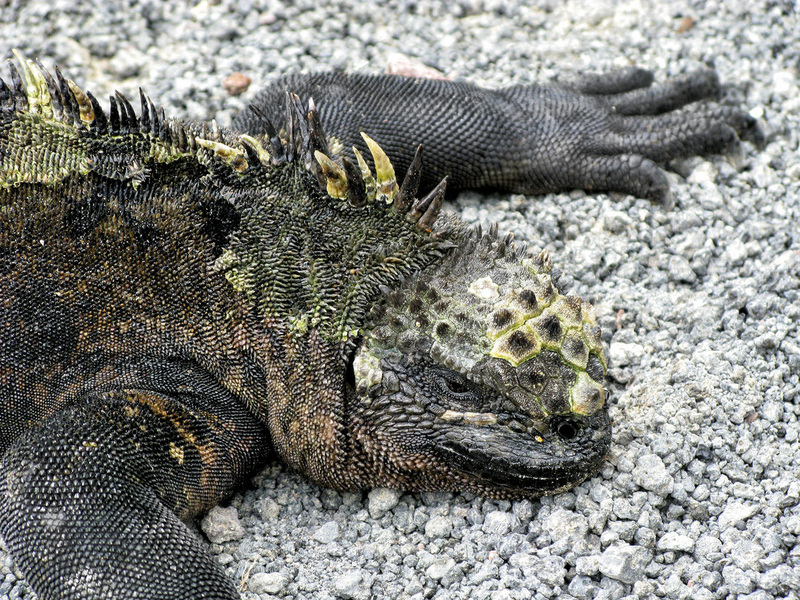 Closer to land, we can also enjoy seeing land iguanas (conolophus subcristatus), a close relative of the marine iguana, both of which are vegetarians; and a host of other marine creatures including the remarkable and unique flight-less cormorant! Santiago Island’s main attraction is the extensive lava flows found in the western side of James Bay, most of it in the form of “Pa hoe hoe” lava (the ropy and smooth type). 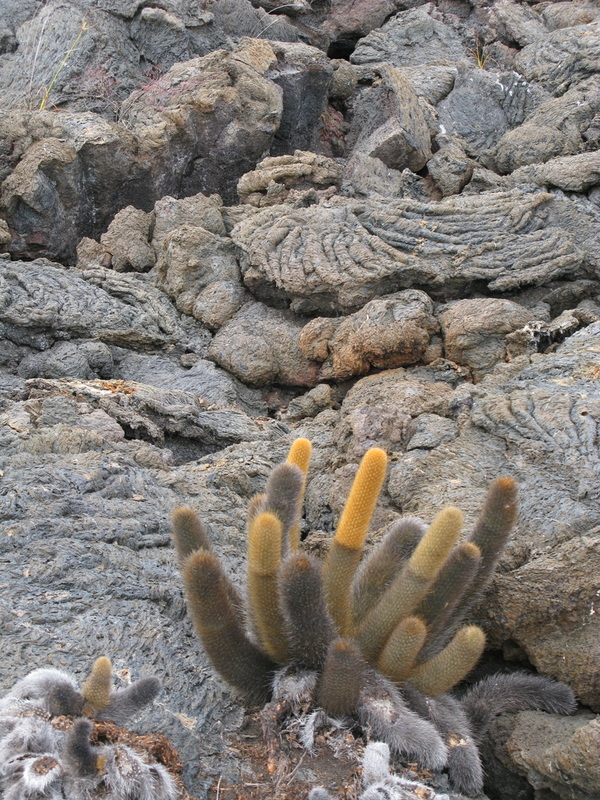 Although the island’s flow is a rather recent geological event (occurring in the early part of the 20th century), it looks weathered but forms an ideal hábitat for the hardy brachy cereus cacti, a pioneering plant unique to the Galapagos. And, in Espumilla Beach, you can see large stands of palo santo bushes covering the shoreline and, clustering nearby, are the land iguanas. In fact, Darwin noted that there were so many of these creatures that it was difficult for him to pitch his tent due to the presence of land iguana burrows. Unfortunately, their population has diminished greatly due to introduced animals. Indeed, Park officials claim there are an estimated 80,000 feral goats and some 3,000 feral pigs in the island still. In Puerto Egas, you will be treated to a special “symphony” conducted by playful sea lions occupying the rocky shoreline. Indeed, some of these marine mammals migrate here from as far north as California! If we are lucky, we may also see the rare fur seal (albeit, not a real fur seal). Then there is “Buccaneer Cove.” Once a safe haven for buccaneers, the cove’s steep cliffs still serve as a natural habitat for a myriad of birds including the galapagos hawk. Flight Requested Tame (EQ) 194 San Cristobal – Quito 1240- 1650 hrs. Today our yacht navigates to San Cristobal Island. It was here, on the 17th of September 1535, that the HMS Beagle under the command of Captain Fitz Roy laid anchor. All told, the captain claimed to have sailed to four islands and stayed about a month providing Darwin with enough time and space to conduct his research. It was also here where he first encountered the giant tortoises, aptly named, Galapagos. Step ashore nearby Lobos Island to see blue-footed boobies fishing and great frigate birds hovering above. You will also have an opportunity to swim, if lucky, among juvenile sea lions! Then at mid-day, your fabulous cruise to the archipelago comes to an end and you will be transferred to the airport for your flight back to Quito to connect to your international flight home. The first class 41 meter-long yacht, M/Y ODYSSEY, will be our base to explore the Galapagos Archipelago. Built in 2008, the yacht can navigate at 12 knots and can accommodate 16 passengers in eight well-appointed cabins, each with private bathrooms. The comfortable yacht includes a common area that includes a Jacuzzi. Additionally, the yacht offers full-board service and has a full-time resident-naturalist on board who will accompany us on our daily sightseeing program. The cruise package: $ 3,225 USD per - person based on 14 people booking all seven cabins with two per cabin. The six-day cruise, aboard the first class category yacht M/Y Odyssey, includes all transfers to/from the airport; full-board meal plan; daily comprehensive sightseeing programs of the various islands with your licensed naturalist guide and narration by your study leader and tour conductor, Manuel. A Nawpaq Expeditions illustrated educational kit, designed exclusively by Manuel for the cruise, is also included (eg., essays, reading list, maps, charts). The land package: $ 385 USD per - person (based on 14 people). It includes two pre-cruise nights in the Grand Alameda Mercure Hotel (4*); transfers in / out of airport; a full-day comprehensive tour of the city with lunch; two American breakfasts and all taxes and fees connected with the two-day sightseeing program. 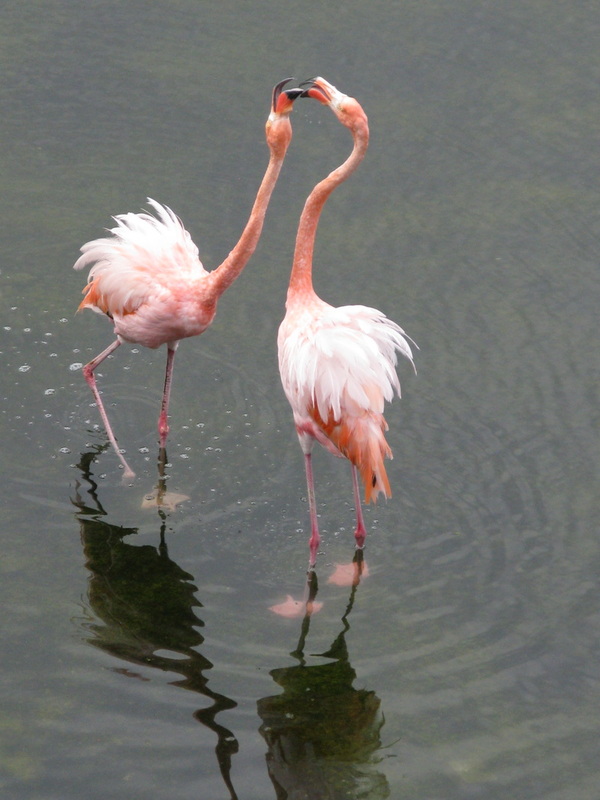 …the approximate $ 500 USD round-trip airfare from Quito to Galapagos and from San Cristobal to-Quito air segment. …and tips to guides, drivers, and crew as well as personal ítems such as laundry, telephone calls, alcoholic drinks etc. Important: Please note that visiting the Galapagos Archipelago may pose challenges to some of the tour members. Climbing the uneven terrain of Santiago Island; walking on the sharp volcanic “ah ah” lava surface of Fernandina Island; ascending the sometime slippery trails of the Sierra Negra Volcano in Isabella Island; manoeuvring the challenges of “wet-landings” required to get off or on the boat are just some examples.